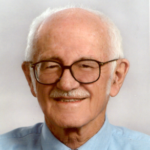 Ernest “Ernie” Thomas Smerdon, Ph.D., P.E., NAE, Dist.M.ASCE, who dedicated his life to the continued improvement of higher education and engineering, and who pioneered research to address critical global issues in the areas of water resources and the environment, passed away on August 11 at the age 84. Dean emeritus at the University of Arizona, Smerdon served as the school’s vice provost and dean of the College of Engineering from January 1988 to January 1998. During his highly distinguished career, Smerdon also served as a senior education associate at the National Science Foundation, an ABET board member representing the Engineering Accreditation Commission, and as a member of 11 National Research Council committees, of which he chaired 2. Born in 1930, Smerdon graduated from the University of Missouri with bachelor’s degree in engineering in 1951 and immediately served 4 years in the Air Force. Afterwards, he returned to the University of Missouri where he received both his master’s and Ph.D. in engineering. Prior to attending the University of Arizona, Smerdon held the Janet S. Cockrell Centennial Chair in the civil engineering department at the University of Texas at Austin and the Bess Harris Jones Centennial Professorship in Natural Resource Policy Studies at the LBJ School of Public Affairs. From 1976 until August 1982 he was vice-chancellor for Academic Affairs for the University of Texas System. Smerdon has been president of the American Society for Engineering Education and chair of its Engineering Deans’ Council. He was elected to the National Academy of Engineering (NAE) in 1986 and served as chair of the NAE committee on Career-Long Education for Engineers and as a member of its Academic Advisory Board; he was also a member of the Committee on the Technology Policy Options in a Global Economy, the Steering Committee for the NAE Engineer of 2020 Project (Phases I and II), and the Committee to Assess the Capacity of the U.S. Engineering Research Enterprise. Among his many honors and awards are ASCE’s Royce J. Tipton Award, the 2006 Golden Vector Award from the Pan-American Union of Engineering Associations (UPADI), the 2005 John C. Park Outstanding Civil Engineer Award from ASCE’s Arizona Section, the 2002 Lifetime Achievement Award from the ASCE Environmental and Water Resources Institute (EWRI), and Outstanding Journal Paper Awards from both ASCE and the American Society of Association Executives. In addition, he received the Icko Iben Award from the American Water Resources Association and was selected as Engineer of the Year in Education by the Arizona Society of Professional Engineers. Among his most cherished awards, the University of Missouri College of Engineering selected Smerdon for an Honor Award for Distinguished Service in Engineering, and he was an Honorary Member of the Civil Engineering Academy of Distinguished Alumni at the University of Missouri-Columbia, where he was presented an honorary doctor of science degree, Honoris Causa, in 2003.